BUG: Death loop simple fix? https://gyazo.com/dbd3829aa0da6ac8196982a05a36b451 This is what im using, it seems to do the job well. Same problem! I found anyone sources of the problem? There's nothing to fix if it's only something you are experiencing, it is not a collective bug, so there's a problem in particular in your server. If you can't figure it out, perhaps you should make a new copy of the server and transfer the DB to it. But clean install is what I would go for. Seems kinda odd. Have you actually cleaned installed it or did you use other scripts already? 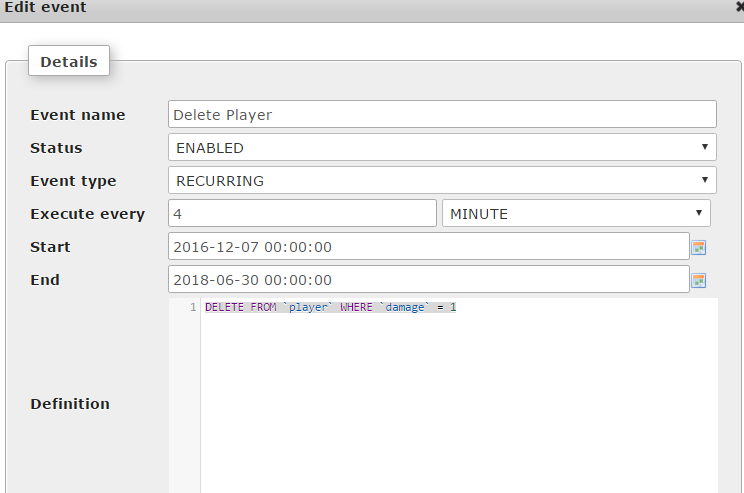 I am using this in my database DELETE FROM `player` WHERE `damage` = 1 to repeat every 4 minutes to delete dead bodies.